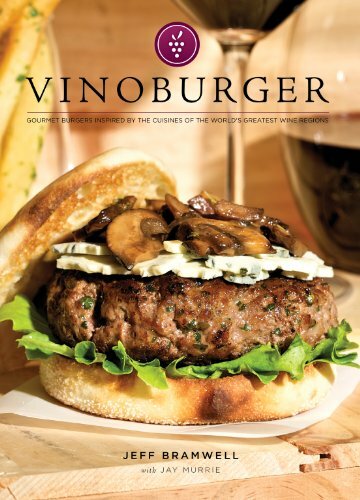 This is the first installment of revisiting some of my favorite regions covered in my VinoBurger cookbook. If you like what you see below, please consider purchasing the hard copy or one (or all!) of the very modestly priced standalone chapters I have published on iBooks (links to the right). They include expanded and updated recipes (much like what you'll see here), along with a ton of educational material, including a handy pronunciation guide, photo gallery and more. The wine and food travel I've done over the past several years has impacted me in many ways, but the constant takeaway from each place I visit is an ever-deepening respect for the quality of the local ingredients and a desire to bring that back to my own cooking at home. 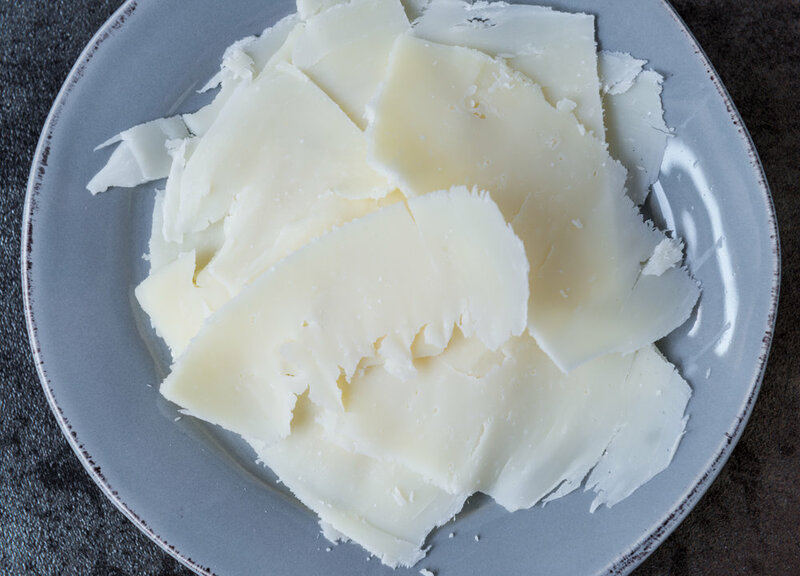 Sometimes that's in the form of the genuine article (meats and cheeses from that specific place, for example), while other times it's a commitment to using the highest quality locally produced ingredients in and around my community (Raleigh, North Carolina). A very high proportion of the meat and dairy I use now comes from quality-minded local farms. I'm increasingly avoiding farm-raised foreign seafood in favor of fresh-caught fish from the southeast that's brought in to the area on a daily basis. Fruits and vegetables come from local producers almost without exception. I rarely buy anything processed anymore, preferring to cook items starting in their most natural state. And I usually shop for ingredients the day I'm going to prepare them, which helps ensure that everything is fresh and in season. I realize that making a trip to the grocery store every day is not for everyone, but it can definitely inspire you to work with whatever looks best on a given day. So, that brings us to the Emilia-Romagna (northern Italy) burger revision. The recipe in the hardcopy of VinoBurger uses all the Emilia-Romagna classics - Prosicutto di Parma, Parmigiano-Reggiano and Aceto Balsamico di Modena (i.e. REAL balsamic vinegar) - so I decided to branch out a bit for this burger. The inspiration for this one is mortadella, a large pork sausage that's flavored with pistachios, garlic, various baking spices, and sometimes olives. I thought it would be fun to give you a step by step photographic tour of how I make my burgers. 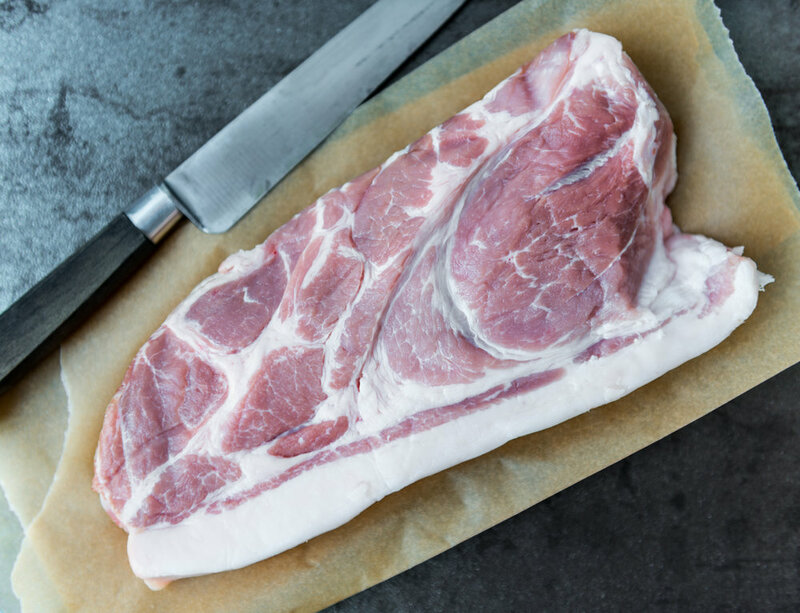 I picked up some beautiful heritage pork from local butcher Standard Foods, half of it ground to order, the rest of it processed at home for those who want to see how I "grind" pork, lamb, chicken and the majority of the meats I cook up for burgers. 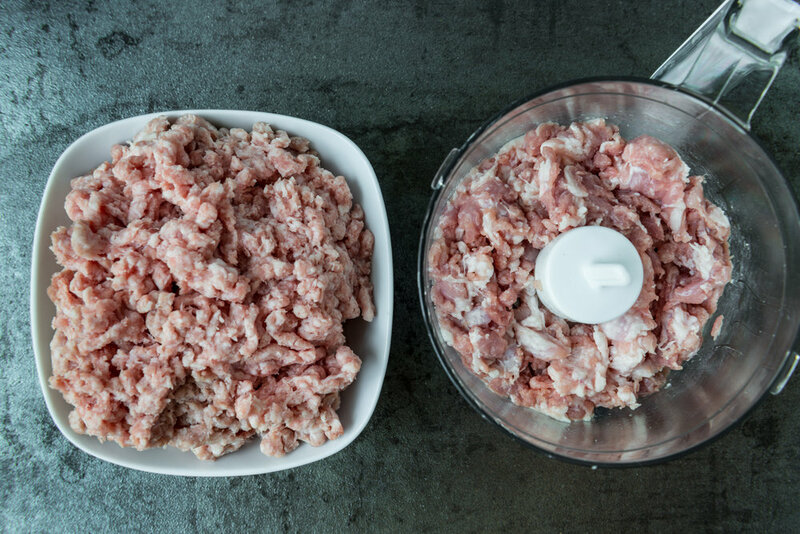 Beautifully fatty heritage pork from a local farm, cubed and pulsed in a small food processor. Side by side with the same pork ground-to-order by the butcher. Lightly crushed pistachios and black pepper, minced garlic. Combine ingredients with salt and ground nutmeg in a mixing bowl, form patties. Gather toppings. Sautee spinach in olive oil. 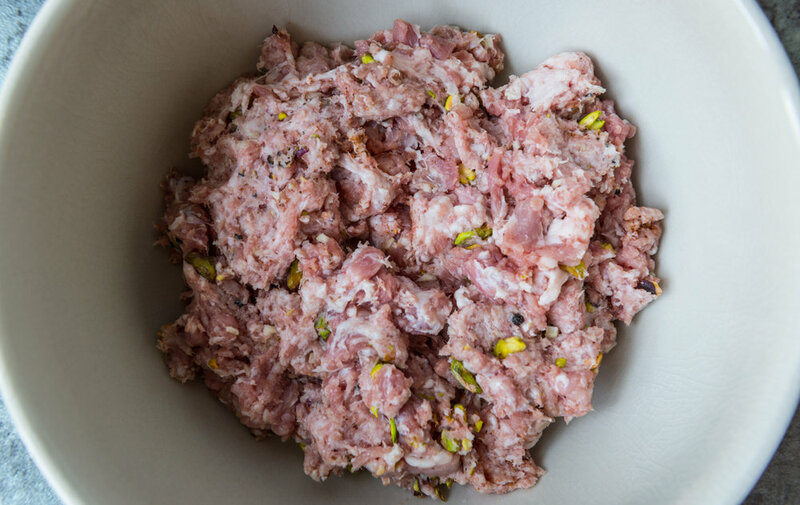 Combine ground pork, lightly crushed pistachios and black peppercorns, minced garlic, ground nutmeg and 1/2 teaspoon salt. Mix well, being careful not to overwork the meat. Form into burgers and set aside. Heat a tablespoon of olive oil in a medium sauté pan, then add spinach and cook until just tender and vibrant green. Remove from heat and set aside. Preheat a cast iron pan to medium-high heat. (Optional:) Toast burger buns then set aside. Sprinkle burgers with remaining 1/4 teaspoon of salt, and place burgers on cast iron. Cook about four minutes per side, or until referred doneness.Add cheese in final moments of cooking. Serve on toasted burger buns, topped with cheese, sliced olives and sautéed spinach.